Hummus Elite was founded on the idea of comfortable prices for healthy dishes without compromising quality, freshness, and service for its customers. Based on the typical Israeli style with a modern twist, Hummus Elite holds strong ties to its Mediterranean origin. With a growing demand for greater selections, Hummus Elite has decided to expand its variety of dishes while still retaining its original concept. In addition to dine-in service, we provide delivery, pick-up orders, and catering. At Hummus Elite we use only the best ingredients, including organic produce and eggs. 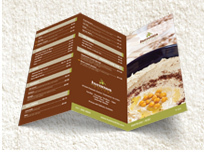 Our Hummus is freshly made several times a day with the highest quality imported spices, with no preservatives added. Freshness and quality are of great importance, and our chef creates dishes that revolve around the produce that is in season. Our menu offers many vegetarian dishes as well as some vegan ones. Low in calories and cholesterol, and suitable for people with diabetes, our Hummus is a great option for those looking for a tasty yet healthy meal. Whether you’re looking for a quick business lunch or a nice relaxing dinner, Hummus Elite will be glad to accommodate you. Owner and Executive Chef Giyora Malka was raised in a small Israeli village on the Mediterranean coast, where he was exposed to a rich variety of cooking traditions including French and Moroccan influences. From an early age, Chef Malka was surrounded by food and the love of cooking, and always enjoyed creating food for the pleasure of his friends and family. While visiting New York during a break from Business School, his then close friend and now wife, knowing his true passion, registered him to the French Culinary Institute in New York. After graduating he worked in two of New York’s finest restaurants - Union Pacific and Sushi Samba Park, where he eventually became a Sous-Chef. He later taught cooking classes and assisted in recipe development for restaurants. Chef Malka brings to his restaurant a refreshing style of cooking that is influenced by Mediterranean and Middle Eastern cuisine. Owner and manager Shlomo Cohen has always been passionate about opening his own restaurant. While he owned his own business for 20 years, he always wanted to be a part of the food industry. Meeting Gioyra Malka 15 years ago, not only resulted in a close friendship, but also planted the seed for making his dream become reality. Familiar with Englewood’s demand for more Kosher restaurants, Shlomo came up with the idea of opening a restaurant that suits not only the needs of the local community, but also the growing need for healthier and affordable cuisine.